On Friday June 15, 2018 Raoul van Caenegem passed away. Last week the legal historians of the Law Faculty at Ghent University, his alma mater, sent an in memoriam in a special issue of the Rechtshistorische Courant. 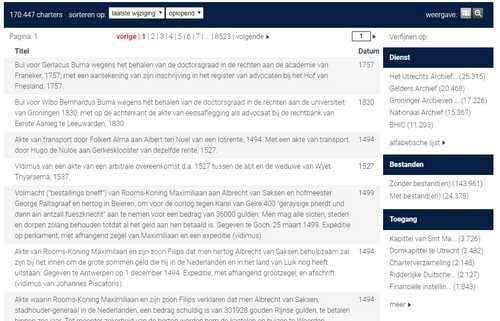 The Max-Planck-Institute for European Legal History published on June 25 a short notice about Van Caenegem. After some reflection about the right way to write here about Van Caenegem, translating these most fitting words from Flemish into English is probably the best thing to do. After briefly mentioning his honours and awards the eulogy starts as follows: “The oeuvre of Van Caenegem is very diverse. A typical Van Caenegem story tells how he meets someone who expresses his admiration for his book. In such cases Van Caenegem did not reply “Which book?”, but remained friendly and tried to divine which book the other person could mean. Along his career Van Caenegem published about a wide range of subjects, making it difficult for relative outsiders to oversee his production. However, even knowing a small part of these publications leaves you mightily impressed. The editorial committee of the Rechtshistorische Courant will point here mainly to publications about legal history. Flemish medievalists do know him from his book on Flemish criminal law and criminal procedure in the fourteenth century, works inaccessible to foreign scholars because they have never been translated. It is the other way around with his Appels flamands, an edition of appeals from Flanders to the Parlement de Paris in the fourteenth and fifteenth century, widely read in France, but much less in Flanders. The general public in Flanders knows Van Caenegem as the author of Geschiedenis van Engeland and Engeland Wonderland. His Flemish readers do not know generally about the praise of English legal historians for books such as Royal writs in England from the Conquest to Glanvill, The birth of the English common law and English lawsuits from William I to Richard I. English readers in turn might not know about the two general books on English history. Generations of Flemish students have toiled over Van Caenegem’s Geschiedkundige inleiding tot het recht, not knowing at that time this work has been translated meanwhile in languages ranging from English to Chinese, and that they are not used as student handbooks, but by graduate students and professors pf legal history and comparative law. Two other publications fit into the same row, Judges, legislators and professors and European law in the past and the future. Medievalists might pass these books, but they were able to benefit from the Encyclopedie van de geschiedenis der middeleeuwen and its later translations and adaptations such as the Introduction aux sources de l’histoire médiévale. In this case Van Caenegem continued a work started by his own teacher François Ganshof, in other cases he was a pioneer without followers. For a general history of European procedural law you still have to turn to his synthesis in the History of European civil procedure. He was also the editor of many volumes and articles. There are two volumes for his English articles, but many could follow filling easily some bookshelves. 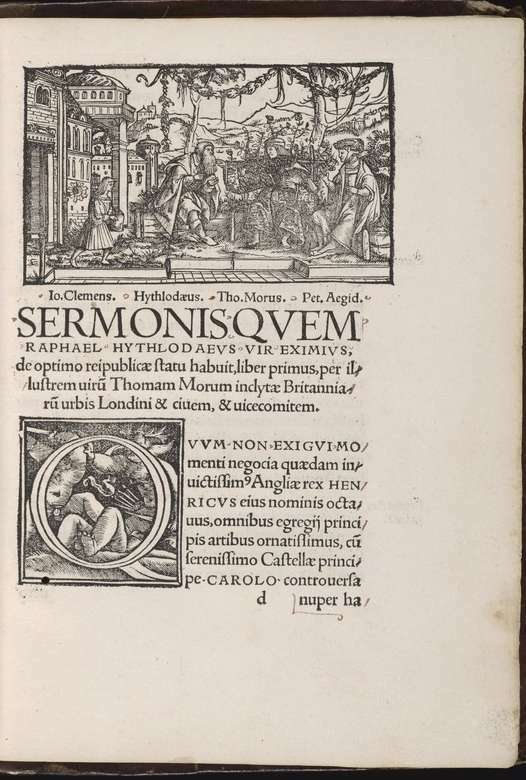 We can point to his work on Flemish keuren – not only customary law, but also legislation by the Flemish counts, OV – and his studies about Galbert of Bruges. I can confirm the mighty impression Van Caenegem could make when I remember my very first appearance for an audience of Belgian and Dutch legal historians. I felt instantly the presence of someone who was not only bodily, but also scientifically a giant with an inquisitive mind. In later years I knew also his kind but still towering presence. Fifteen years ago a vice-president of the Royal Dutch Academy of Sciences told how relieved he was when he finally knew how to address Van Caenegem without trembling to make a fault: mijnheer de baron, a consequence of the peerage bestowed on him. For many years Van Caenegem served as a member on the governing board of the Max-Planck-Institute for European Legal History in Frankfurt am Main. He wrote in 2010 a lovely article about his own memories of great scholars for one of the scholarly journals of this institute, ‘Legal historians I have known: a personal memoir’, Rechtsgeschichte/Rg 17 (2010) 253-299. Earlier this year I received a copy of the first Dutch edition (1962) of the Guide to the Sources of Medieval History. Even when it is clearly the work of both Ganshof and Van Caenegem you cannot escape from the thought Van Caenegem made already his imprint. For those thinking all his books have been mentioned above, I can mention at least one other book I have at home, Over koningen en bureaucraten. Oorsprong en ontwikkeling van de hedendaagse staatsinstellingen [On kings and bureaucrats. Origin and development of contemporary state institutions] (Amsterdam-Brussels 1977), a book on state formation, institutional history and public law. For decades Dutch legal historians and historians abroad saw his name on the cover of the Tijdschrift voor Rechtsgeschiedenis. It will not help much to add here other things. 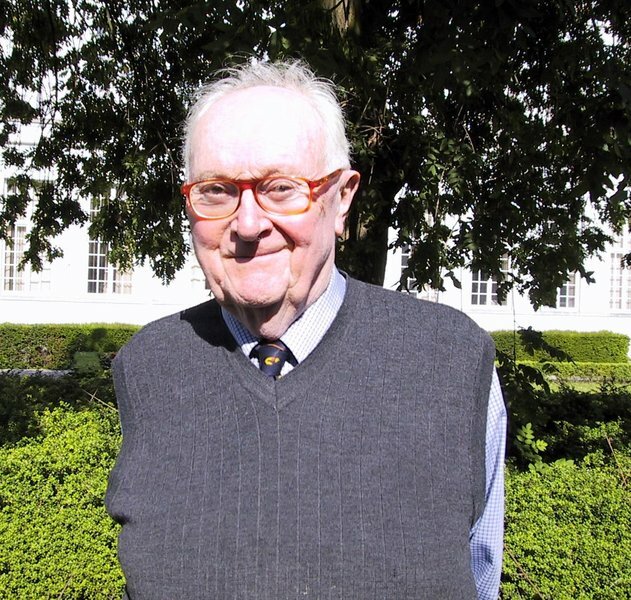 We can only mourn with scholars at Ghent University the loss of Van Caenegem, we can share with them the profound gratitude for his countless services to European and legal history during his long and productive life. The blog of the association Standen en Landen / Anciens Pays et Assemblées d’États published on June 19, 2018 an in memoriam in Dutch and French. On June 25, 2018 Maastricht University published a notice on its website with a drawing of Van Caenegem taken from his 2010 article in Rechsgeschichte/Rg. This entry was posted in Scholars and tagged Belgium, Common law, Comparative law, European history, Legal history, Medieval history, Medieval law, Medieval procedure on June 27, 2018 by rechtsgeschiedenis.